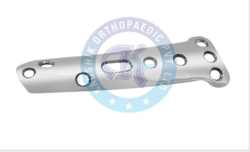 Quality raw materials are brought into use for making other orthopaedic plates. These plates are extensively used in medical sector. These plates are offered at market leading rates. We are leading manufacturers & exporters of Double Angled Barrel Plate. We are engaged in the manufacture and supply of premium quality Spoon Plates. The entire range is manufactured using finest quality of stainless steel and titanium. These are available in various sizes and designs to meet our esteemed clients’ specifications. Due to high durability, easy to use operation, effective sterilization, these are highly acclaimed worldwide. The entire range of Spoon Plates offered by us is available at most competitive market prices. 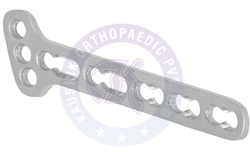 Looking for “Other Orthopaedic Plates”?